Cool Roofs - McHale Energy Inc.
McHale Energy is pleased to work with you on next-generation roofing systems. Our strategic partnerships include a leading provider of Cool Roof System. Cool Roof Systems – Makes Your Roof an Asset not a Liability. Not a coating! 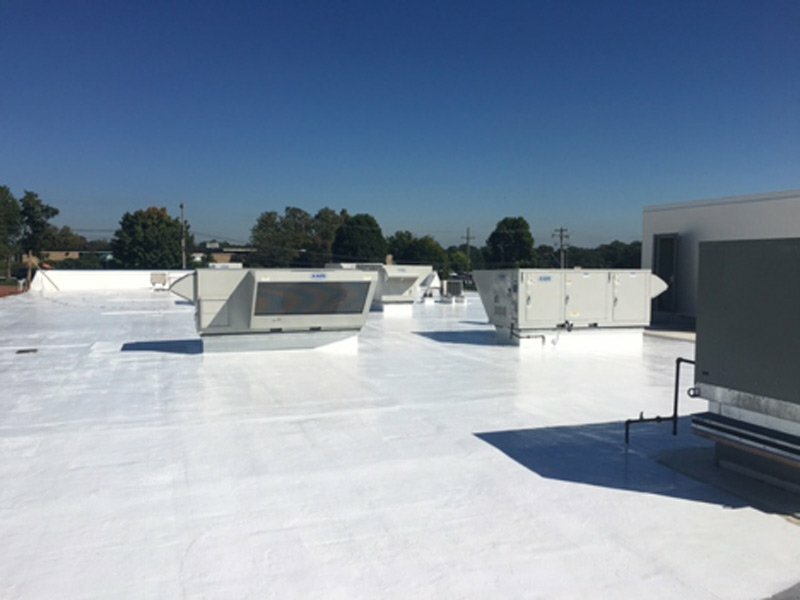 This two-part, marine grade epoxy system permanently encapsulates deteriorating commercial roof surfaces; including: asphalt, metal, rubber (EDPM), tar, etc., eliminating the need to remove the existing roof, even if two layers or more. No disposal costs! Flashing and step flashing are preserved and coated as well. No need to re-insulate!